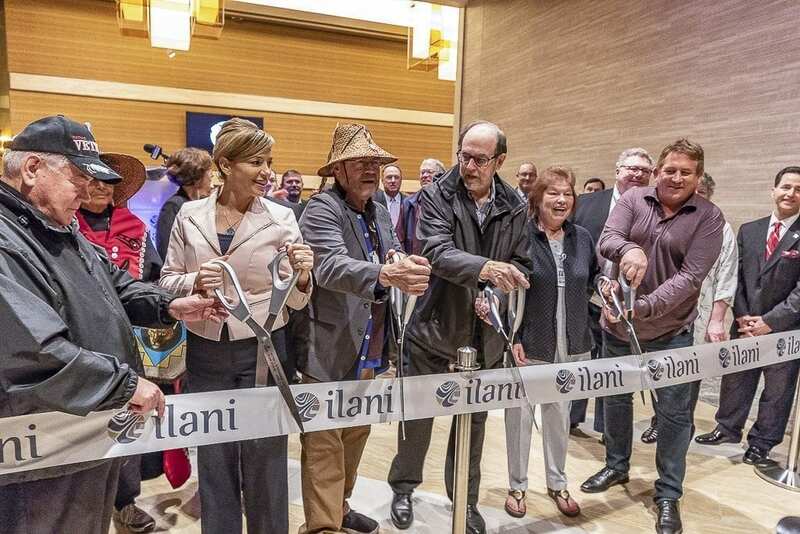 RIDGEFIELD — The ribbon was cut Thursday on the new 30,000-square-foot Meeting and Entertainment Center at ilani Casino Resort along I-5 north of Ridgefield. But for many members of the Cowlitz Tribe gathered to celebrate the event, that wasn’t the biggest moment. 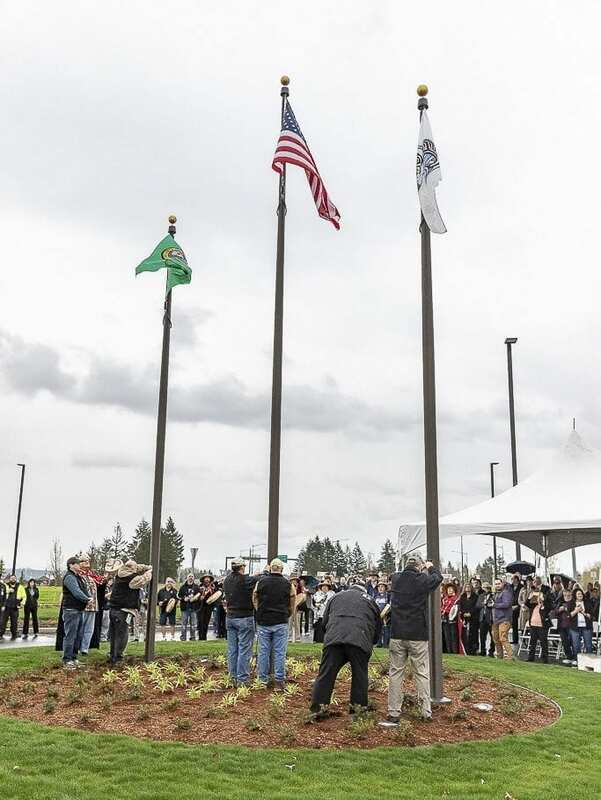 That came half an hour before the ribbon cutting, when the Cowlitz flag was raised on their tribal land for the first time in 160 years. Tribal chairman Bill Iyall called it an incredible moment. The opening of the Meeting and Entertainment Center comes almost a year after the $510 million casino finally opened. Getting there took more than 14 years and a lot of battles with other local tribes, and some of the neighboring communities. For those of the Cowlitz Tribe that remained, and others around the country, the rise of ilani represents more than just an entertainment spot. It represents a resurgence of meaning and opportunity for the Cowlitz people. 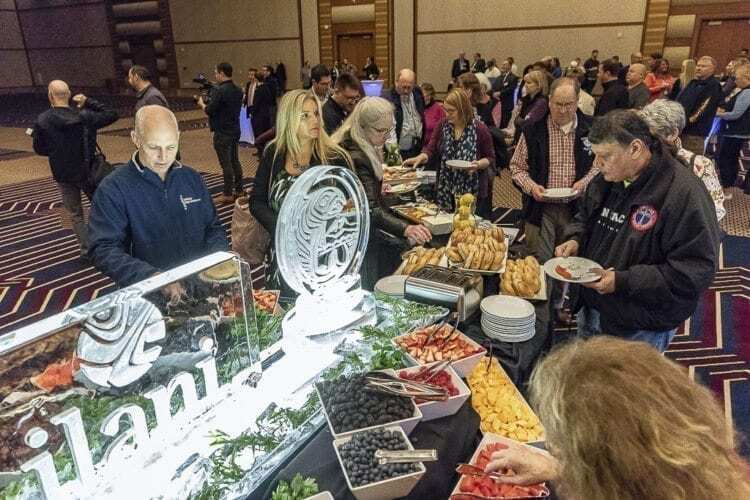 The 22,000-square-foot meeting space at the Casino can seat up to 2,800 people for a concert, or accommodate up to 1,000 for a seated meal. Kara Fox-LaRose is the resort’s president and general manager. You’ll notice beautiful woodwork, limestone accents, and plush carpeting. Iyall says those design elements help to set them apart from the Clark County Event Center and Amphitheater just down I-5. Ribbon dancers take turns tumbling high above the crowd, as the Cowlitz Drum Group perform ancient tribal songs on the stage. Guests snap photos of the massive space, and munch on breakfast foods below ice sculptures in the likeness of the tribe’s symbol and the logo of the Casino. 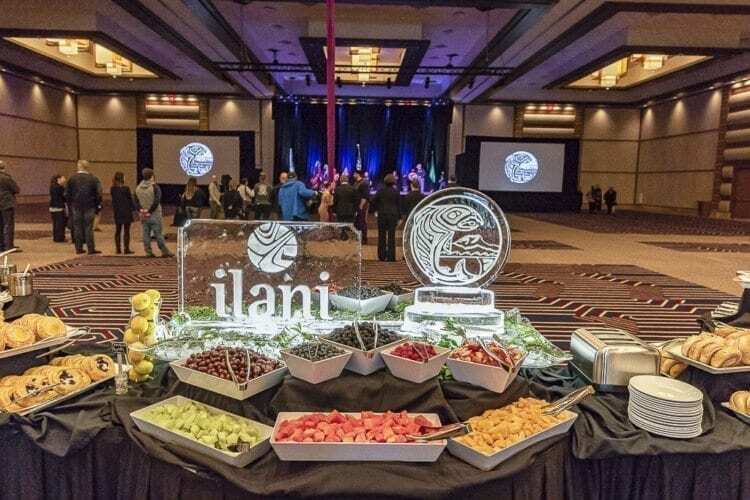 It’s an intentional opulence that reflects the vision of ilani founder David Barnett. Barnett says the word ‘ilani’ in the Cowlitz language means ‘’sing,’’ and he wanted a place where people could attend concerts in a place that felt simultaneously cutting edge, and yet also in touch with the tribe’s history and heritage. Out of the eastern windows of the Meeting and Entertainment Center, on a clear day, you can see Mount Saint Helens. Iyall says there’s meaning even in that design choice. The first big concert at the new venue will be April 12 with Country music group Little Big Town. Vanilla Ice and Salt ‘N’ Peppa come to town on April 22 for their “I Love the 90’s” tour, and the casino will celebrate its first anniversary with a VIP-only event featuring Jay Leno on April 29. If the venue is to be a serious convention destination though, it will need what the tribe is planning next — a major hotel that will include more parking. That project is currently in the planning stages. There will also eventually be a new tribal headquarters on the site. The resort is being built with financial assistance from the Salishan-Mohegan tribe, which owns and operates the Mohegan Sun, a major player in tribal-owned casinos and resorts.